Hours before President Donald Trump is set to meet with Russian President Vladimir Putin one American senator made his displeasure known in a string of tweets calling Putin a "murderer," "crook" and "liar." 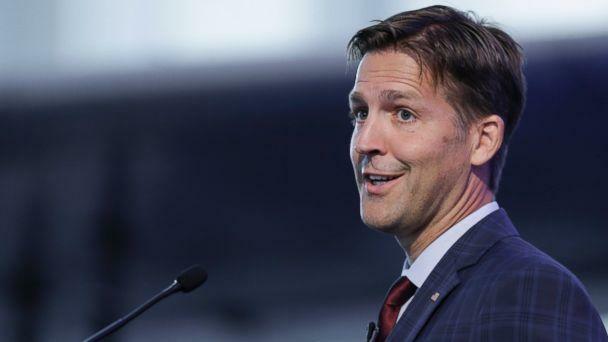 Sen. Ben Sasse, R-Neb., one the more frequent opponents of the president within the GOP, took to Twitter to send out nine tweets on the upcoming meeting, including eight points about the Russian president. Sasse posed the question "Who is Vladimir Putin?" and "What does he want?" to start off the tweet storm. Sasse's second tweet called Putin a "murderer" for political assassinations and shooting down Malaysia flight 17. "Putin is a murderer. He has ordered the assassinations of political adversaries and used outlawed chemical weapons to do it," Sasse tweeted. "He oversees Russian military units that shot down Malaysian flight 17 and murdered almost 300 civilians." Sasse's comments on political assassinations likely refers to people such as Alexander Litvinenko, a former Russian spy who defected and spoke out against Putin. He was murdered by poisoning in 2006 -- an assassination that an inquiry by the British government said was "probably approved" by Putin. Malaysia Airlines flight 17 was shot down on July 17, 2014 over Ukraine while flying from the Netherlands to Kuala Lumpur. All 298 people on board were killed when the plane was struck by a missile, which an international study released in May concluded was fired by the Russian military. Sasse went on to say Putin is a "crook and a liar," based on the fact that "he has broken almost every agreement he has signed with the United States, including on Syria and Ukraine. He has become one of the world's richest men through embezzlement and stealing from his own people." 3. Putin is a crook and a liar. He has broken almost every agreement he has signed with the United States, including on Syria and Ukraine. He has become one of the world's richest men through embezzlement and stealing from his own people. The senator called Putin "an enemy of America" and said, "It’s not just that he messed with our election in 2016; he attacks us regularly, and will again in 2018." Sasse also said, just a few hours before the Putin-Trump summit, "I don't think President Trump should be dignifying Putin with this meeting. When Reagan met with Gorbachev, he did so from a position of strength & moral clarity about the evil empire that the Soviet Union was, and w/ a clear purpose to end the Soviet Union's threat to the US." President Ronald Reagan met with Soviet leader Mikhail Gorbachev in Reykjavík, Iceland, in October 1986 to discuss, among other topics, the countries' nuclear weapons and intercontinental ballistic missiles. The tweets were a much stronger message than the senator released last week when he wouldn't outright say the meeting should be called off -- despite criticzing Putin and Russia -- following the indictment of 12 Russians as part of Robert Mueller's probe into meddling in the 2016 presidential election. "The U.S. intelligence community knows that the Russian government attacked the U.S. This is not a Republican or a Democrat view -- it is simply the reality. All patriotic Americans should understand that Putin is not America's friend, and he is not the President's buddy. We should stand united against Putin's past and planned future attacks against us," Sasse said in a statement Friday.